10 Basements For The Whole Family - Jamie & Co.
Transform your dreary, unfinished basement into a space everyone can enjoy with these 10 inspiring basement ideas. Transform your unfinished basement into a dream playroom for little girls. Soft blues and pinks are the perfect palette for this innocent and feminine child’s space. A built-in shelving unit with small wicker baskets helps to keep toys organized and neatly stored, while still making them easy to reach for little ones. This chic, industrial basement quickly became an at-home getaway. 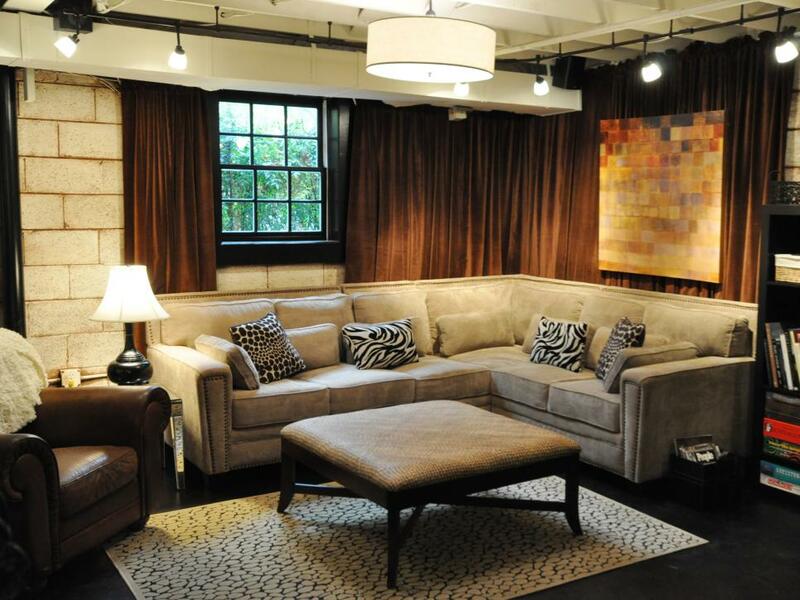 The unfinished space was spiced up with warm chocolate hues and urban appeal, while providing all the warmth and coziness of an upstairs room. 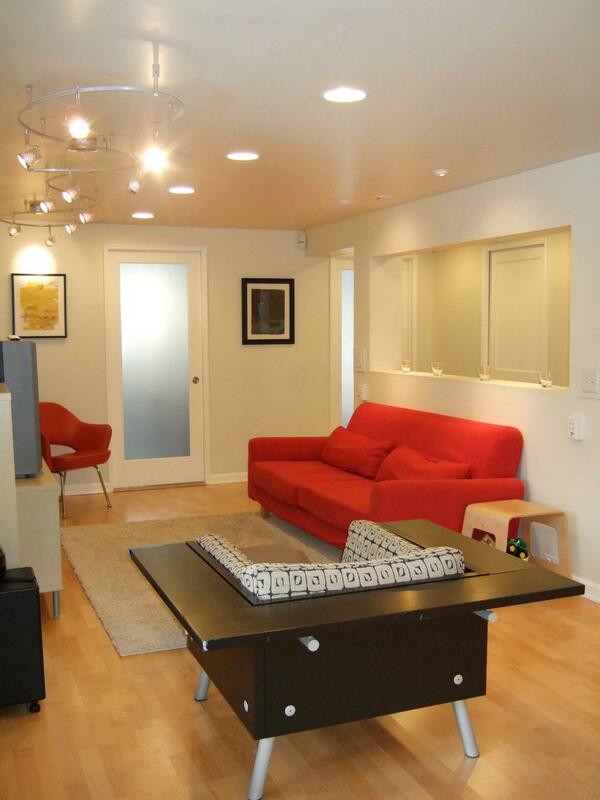 With a casual lounge area, wet bar and work studio, this is definitely a mature, toy-free zone. 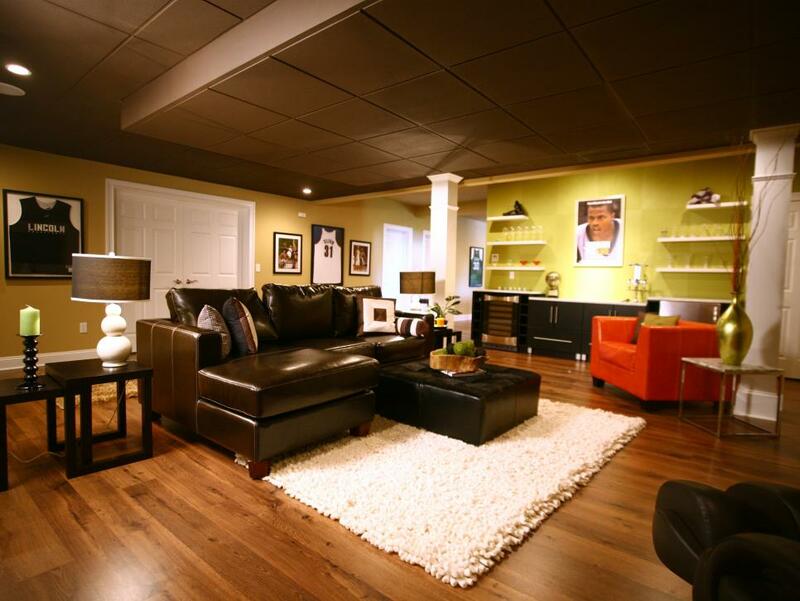 Turn an unfinished basement into an all-encompassing media room, playroom, mudroom, guest bedroom, bathroom and pantry. 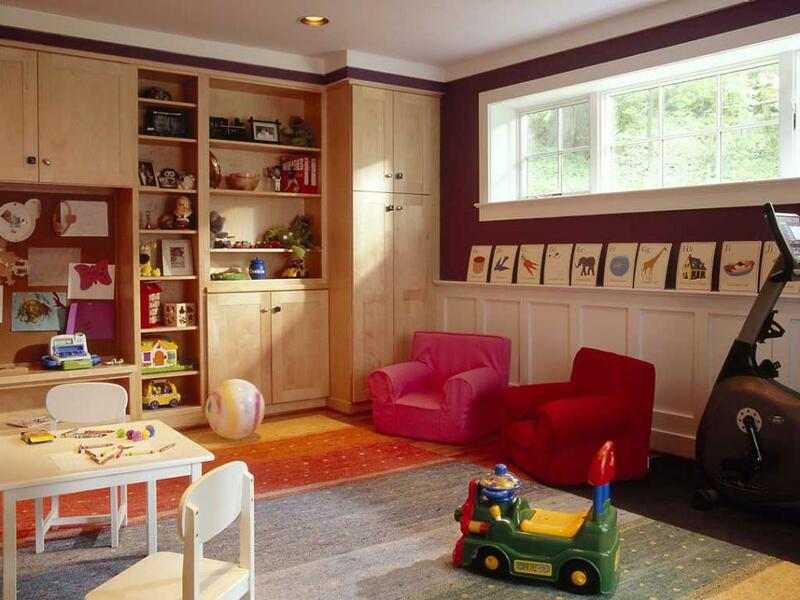 The child’s playroom offers plenty of space to play on the rainbow-colored rug or at pint-size tables. A wall-to-wall shelving unit displays favorite toys, while keeping art supplies hidden in the cabinets. 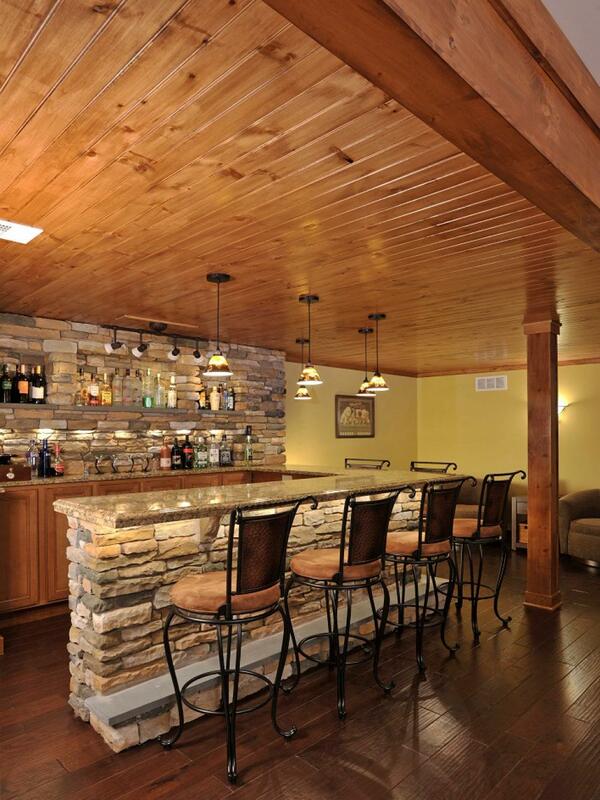 Turn your basement into a place for both entertaining and relaxing. By blending traditional materials and furnishings with modern accessories, the space delivers a cozy, at-home feel with a party-ready vibe. A wood plank ceiling, hardwood floors and natural stonework set a rustic, outdoors tone for this basement-turned-ski lodge. A fully stocked bar and lounge area makes this the perfect place to relax after hitting the slopes or for watching sports on the weekends. 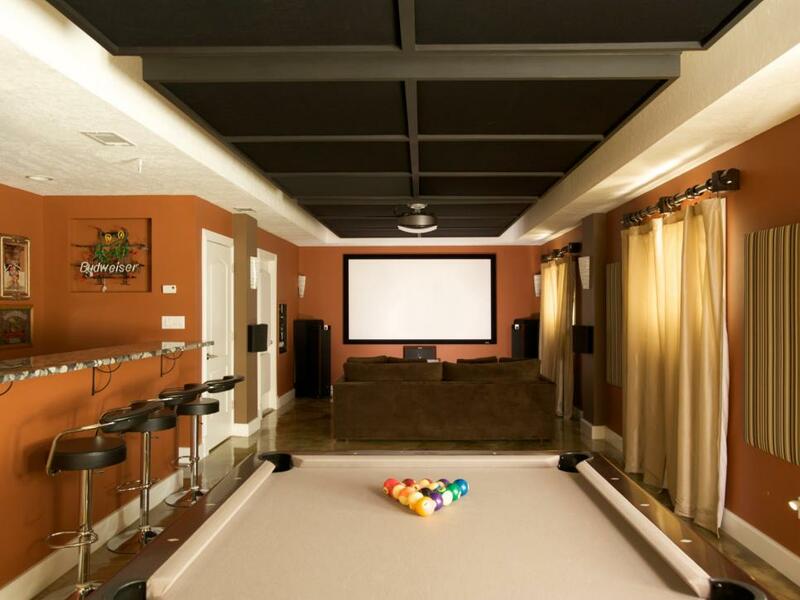 Nothing says ‘man cave’ quite like an extra-large projector screen, fully stocked bar and billiards table. Traditional, masculine hues — like copper, chocolate brown, sage and tan — offer a warm color scheme without making the space feel dark and enclosed. 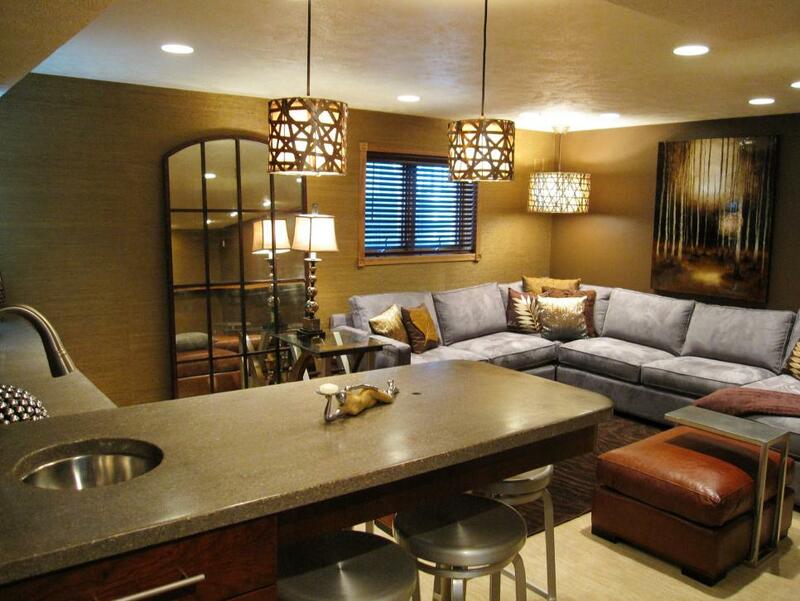 This modern basement features all the amenities for a fun family gathering. This is a sophisticated, multifunctional room where guests and family can enjoy drinks, dine, relax, watch television and play pool. The grass-cloth wall covering, concrete countertops and warm brown hues set a soothing and relaxing tone in a formerly concrete-covered basement. 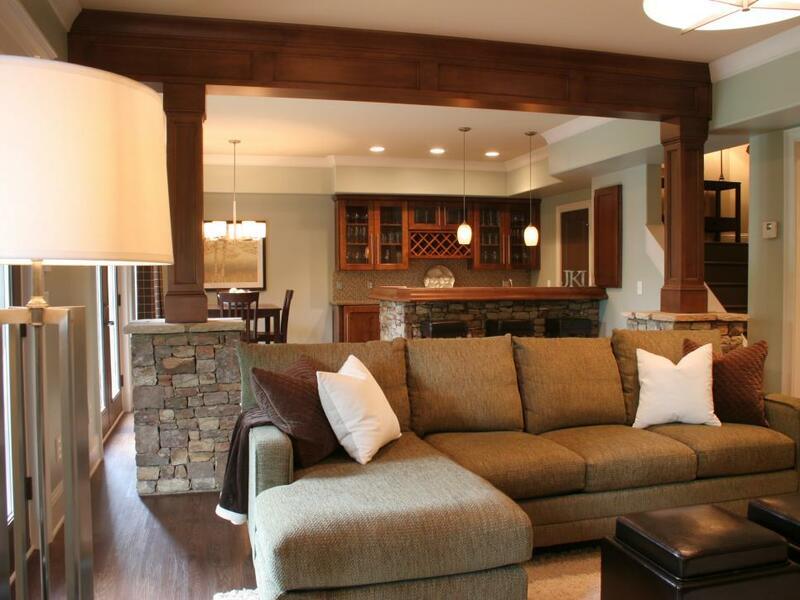 Originally a two-car garage, this space was transformed into a living area with a media room, bathroom, home office, laundry room and utility room. With crisp, white walls, modern furnishings and fresh, hardwood floors, it’s hard to believe this room was once covered in cement. Who says sleek, contemporary decor and sports memorabilia can’t go together? 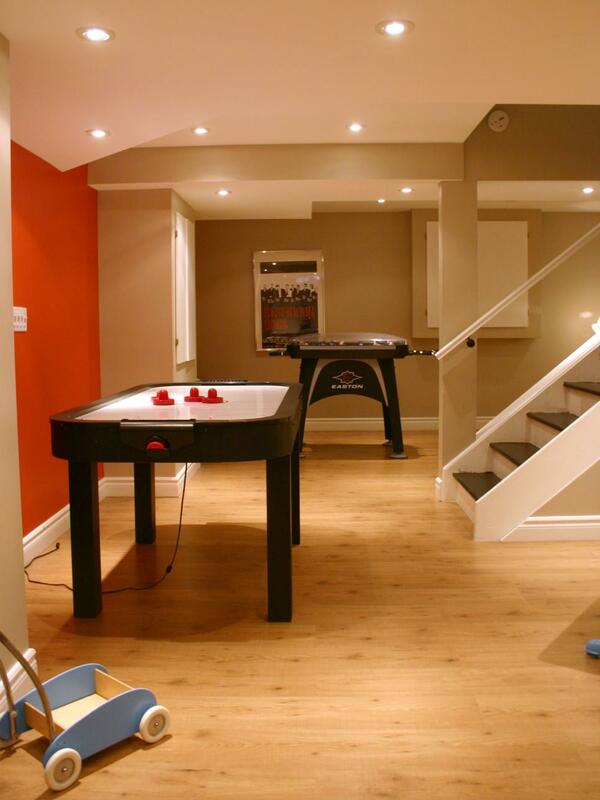 Create an elegant, sports-themed basement the entire family could enjoy. By adding plenty of plush seating, a soft area rug and a stylish, kid-friendly mini bar, this space proves to be a place for both guys and girls. Foosball, air hockey and a video gaming station are just a few of the amenities in this teen man cave. Add an extra-large, cozy sectional and kept the decor simple and sleek to create the perfect space for him and all his friends.